My belief is that there are few more important events in a woman’s life than giving birth. 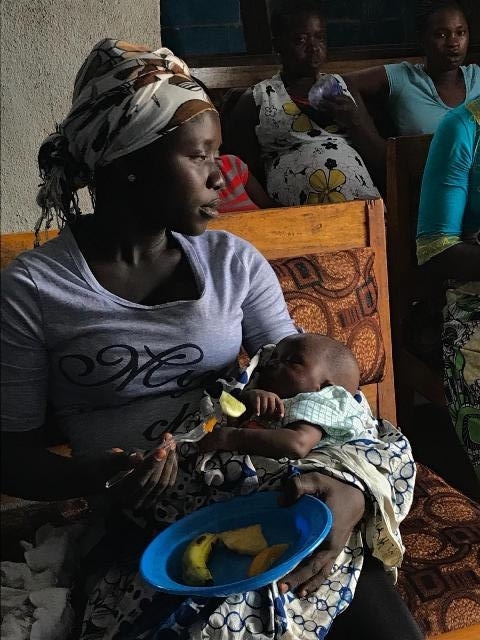 Yet today in post-war Sierra Leone women have a one in six chance of dying during the pregnancy, labour or postpartum period. This is compared to 1 in 4,800 in the United States! Sierra Leone was, until recently, the poorest country in the world Sierra Leone was, until recently, the poorest country in the world. A 10-year civil war had taken a heavy toll on an already poor country and healthcare has suffered to such an extent that it now has the highest maternal mortality rate in the world, as well as the highest number of deaths in under five-year-olds. I am including a link for video clip from Time magazine – click here. 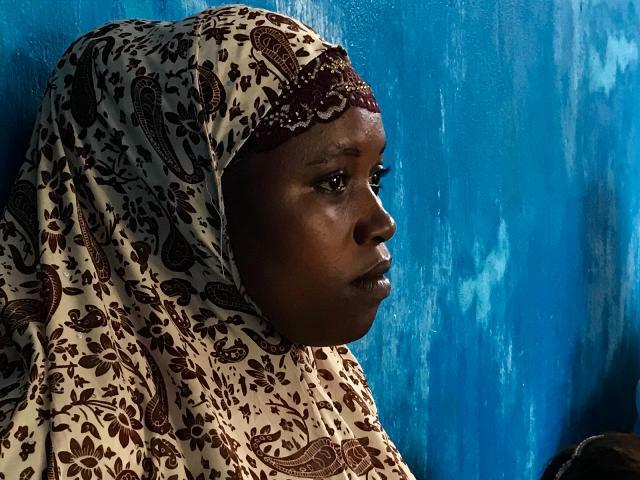 It gives in harrowing detail the reality of giving birth in Sierra Leone. Please be careful about choosing to watch it since it does include the death of the young 18 year old mother. Having discovered these facts, I struggled with the knowledge that while I was here in Bermuda trying to enable couples to enhance their experience of birth, in Sierra Leone many women could only hope and pray to survive it. This set in motion a series of events that led me to be put in contact with an experienced local midwife in Sierra Leone, Isha Daramy. Since that time, and through my link with Isha, I have become involved with various projects in the country since I give 10% of my childbirth related earnings to these projects. To help by providing financial and technical support to the day to day running of the P.C.M.H. To mobilize resource for improving the quality of patient care. To help maintain the physical facilities and provide equipment at the P.C.M.H. To promote education within the community. To help restore Midwifery and for Midwives to be the key persons to attend to all normal pregnancy, labour and postnatal care and do an early referral where the midwives deem it necessary. Another project that has been completed is the training of Traditional Birth Attendants in Magbil. Isha had a connection with this community which is seventy eight miles from Free Town in the Port Loko District. She decided to work in Magbil because the people living there clearly needed help and were very cooperative, recognised their needs and were ready to work to help themselves. In addition, there is no nearby health centre and it is a well populated area. 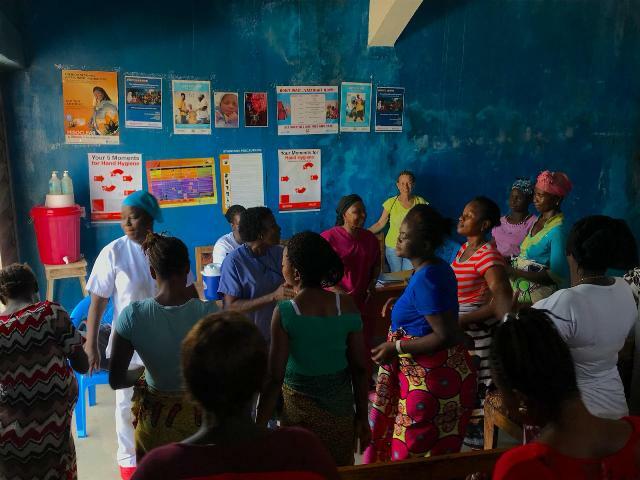 The role of the TBA is to look after pregnant women and offer the possibility of a safe delivery, but also to generally educate their communities about other health issues that have an impact on the family. More recently there has been an increased emphasis laid on the early detection of high risk cases, early referrals, institutional delivery, HIV and other communicable diseases in the community. Over the years, especially during the war, the numbers of trained TBA’s in the area has dwindled so out of the 40 trained in 1992, only 15 are still living in the area, hence the need for a new training programme and a refresher for those that are still working in the area. “The present clinic is not able to hold the capacity of client especially with the free health care declared by the Government. Because of the distance between villages, we will advise all pregnant women who live about five miles and above to come to the clinic four weeks before their due date. The new centre will help to facilitate this wonderful idea. The rational for such an idea is that, the accessibility of roads for transportation is almost impossible and in the event of an emergency it is impossible to reach these women. This is one of the reasons for our high maternal and infant mortality rate”. It is my hope and prayer that the money I raise through Birth Matters can directly contribute to the plans of expanding the Magbil Centre to address the needs of a growing number of families. The cost is relatively small by our standards but huge for the local population. I have always loved the idea that birthing women in Bermuda can help inform, educate and change the circumstances of birthing women in Sierra Leone by attending Birth Matters Workshops and using me as their doula.